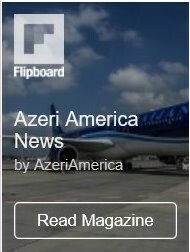 Azerbaijan is an ancient country with an amazingly beautiful and diverse nature, hospitable people, as well as unique culture and traditions. 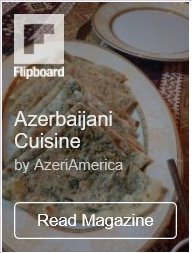 Delicious Azerbaijani cuisine is one the first things that tourists want to discover coming to the Land of Fire. The country is proud of its national cuisine, which can be called as one of the world’s most interesting cuisines, and deservedly enjoys wide recognition. A classic Azerbaijani meal typically lasts for about 2-3 hours and always begins and ends with tea. There is a lot to say about Azerbaijani dishes, but the best thing is to try the taste and aroma of this rich cuisine. Diversity, sometimes simplicity and extraordinary features of the serving dishes are able to attract any gourmet. A variety of vegetables and fruits, as well as spices make the Azerbaijani cuisine distinguished and unforgettable. But flour dishes take a special place among the national cuisine, which help to diversify the winter menu. Cold season is around the corner and very soon mothers and grandmothers will get dirty in the flour to cook a variety of delicious samples of Azerbaijani cuisine. The most delicious and far-famed flour dish is Khingal, which has two kinds such as Sulu khingal and Guru khingal. Their difference is that Sulu khingal is served with broth, chopped meat and peas, while Guru khingal with roasted meat. That’s why it is served both as a first and a second course meal. On cold winter days Dushbara will warm your stomach and surprise with its appetizing taste and aroma. Another favorite and popular Azerbaijani dish is a sort of dumplings of dough filled with ground meat and cooked in a lamb broth. Traditionally, in Azerbaijan every woman have to, not only cook this popular dish, but also should be able to make dushbara as small as possible, to fit ten of them into a tablespoon. Dumplings in various shapes and sizes are popular across the Caucasus and Russia. Georgia has its khingali, Russia its pelmeni and Azerbaijan its gurza. Gurza is very similar to dushbara but a bit larger and are usually served with bouillon. Both dishes are dumplings with minced meat, but gurza differs from dushbara with its beautifully twisted form like a pigtail or a rope. Qutab, another masterpiece of the national cuisine, is the Azerbaijani equivalent of a pizza, which can be easily prepared from the content of your fridge. No one can speak about this mouth watering dish without a desire to eat some herb or meat qutabs. Traditionally, there are green, meat and offal, cottage cheese and pumpkin qutabs, and many other variations, even with camel meat. It is made of thinly rolled dough cooked briefly on a saj, a local oven in the form of a flat iron plate. Qutab is traditionally washed down with ayran, a cold yogurt beverage mixed with salt and herbs. Surfullu is probably one of the most unique dishes of Azerbaijani cuisine and is considered the king of all dough dishes made with handmade pasta. 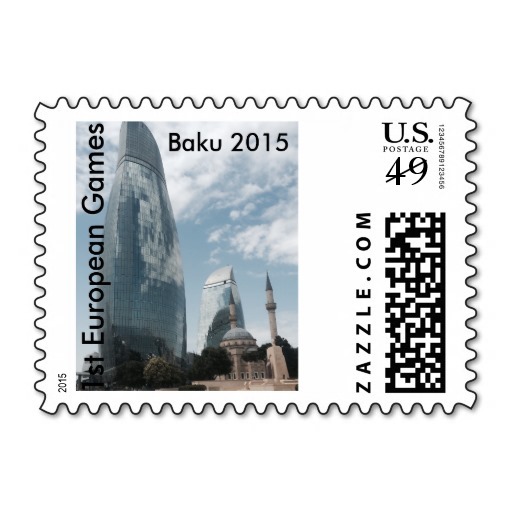 The homeland of Surfullu is Azerbaijan’s north-west Gakh region. The uniqueness of this dish lies in its handmade pasta (very similar to Italian pasta, Cavatelli), and a kind of jerky meat named “gakhaj” and homemade sausage named “jijnagur”. Fans of Surfullu say that cooked meat in this dish has a very distinctive taste, which takes some getting used to. Khashil and Guymag, reminding porridge, are next majestic meals, which can delight even the hard-to-please gourmets. In general guymag is made for only postpartum women, people after surgery, since it gives a lot of energy. Talking about dough dishes, it’s also worth to note shekerbura and pakhlava — one of the most popular desserts in Azerbaijan, which are something that one can not refuse to eat. Shekerbura is a sweet patty, filled with ground almonds, hazelnuts, or walnuts mixed with sugar or honey. Sometimes, shekerbura is prepared with various national ornaments put on it. They are also one of the main irreplaceable symbols of the national holiday — Novruz Bayrami. If to paraphrase the expression “To see Paris and die” to “To taste Azerbaijani cuisine and die”, I think, are the best explanation to convey the tastes of the national meals.